How has the way you understand modern politics changed over time, and what (or who) prompted the most significant shifts in your thinking? My generation was formed by the experience of 1989. It was the collapse of communism and the end of the Cold War, the dissolution of Tito’s Yugoslavia and the disintegration of the Soviet Union that shaped our expectations about the world. These events fueled my intellectual intuitions. “You can observe a lot just by watching” Yogi Berra once said and that is what happened to me in the late 1980s and the early 1990s. I was old enough to remember the political system that had disappeared and I was young enough to be curious and enthusiastic about the new world that was coming. It took me a decade to stop being excited any time I was crossing the Bulgarian border. But 1989 was very different in the different parts of Eastern Europe. In Bulgaria, till the very end, the communist system looked as solid as nature and one of the lessons that I learned from the experience of 1989 was the fragility of any status quo. Over the years, when somebody was trying to convince me that this or that development was impossible, I always remained doubtful. Intellectually I was lucky to enter broader Political Science debates in a time when the Central European experience was still valuable. The year that I spent in St. Anthony’s College in Oxford, in 1991-1992, and the influence of Prof. Ralf Dharendorff was of critical importance for me. Later, I was privileged to visit many of the best academic institutions in the world but none of these visits had the profound impact of my Oxford year. The “1989” imprint on my theoretical thinking was the central importance of “experience” when it comes to making sense of political behavior. In a period in which political scientists fell in love with comparative institutional analyses, I remained very much interested in the category of “collective experience”. What attracted me were small insights and the unintended consequences of our actions. And, not surprisingly, Albert Hirshman ended up to be one of my most beloved academic guides. A superb intellectual biography of Hirschman was published last year. Hirschman was born in Berlin in 1915 – a rotten time and a wrong place to be Jewish and progressive. When he was nineteen years old, persecution, intolerance, and war decimated the cosmopolitan world that many of his generation had fought to defend. Hirschman left Germany, fought in Spain, smuggled people out of occupied France, and ended up in the United States as one of the most distinguished experts on Latin America and the problems of economic development. Unsurprisingly for someone who constantly mediated the nuances between leaving, fighting, and accepting, Hirschman was preoccupied by two fundamental questions: Why do people engage or disengage in public welfare? And how do people bring about social or political change? Reflecting on the loss of the revolutionary spirit in France just a decade after the cataclysmic uprisings of May 1968, Hirschman began to ask whether our societies are somehow predisposed to oscillation between periods of intense preoccupation with public issues and the near total concentration on individual improvements and private welfare goals—and he suggested that there are indeed collective cycles of engagement: periods in which people will protest for months followed by a collective withdrawal from public action. How people bring about change was the second question that focused Hirschman’s mind. In his most famous work, Exit, Voice, and Loyalty, he contrasted the two strategies that people have for dealing with poorly performing organizations and institutions. People can either “exit”—that is, voting with their feet by expressing their displeasure by taking their business elsewhere—or decide to “voice” their concerns by staying put, speaking up, and choosing to fight for reform from within. In his reading, exit is the path to reform favored by economists because it is the preferable strategy of the consumer. By inflicting revenue losses on delinquent management, exit is expected to induce a “wonderful concentration of the mind” akin to what Samuel Johnson attributed to the prospect of being hanged. Hirschman knew that in many cases exit works well, but he also pointed out that “those who hold power in the lazy monopoly may actually have an interest in creating some limited opportunities for exit on the part of those whose voice might be uncomfortable.” In short, forcing (or simply allowing) his critics to leave the country may be the best strategy for a dictator. Exit can bring reform, but under certain conditions, it can also become a major obstacle for reforming society. “Voice” represents a different type of activism, one where people cannot, or simply do not want, to exit because they deeply value the organization in crisis. Instead, they are compelled to improve its performance by participating, offering ideas, and taking the risk to oppose those who make decisions. Voice-led activism is constructive by its very nature. It assumes a readiness to take responsibility for what one suggests. It is closely associated with the strategy to change an organization, party, or church from within, and it is based on loyalty. For loyalists, to exit means to desert. In this sense, “voice” is never synonymous with simply opposing power; it assumes the responsibility to be the power. Exit and voice can be complementary under certain conditions. But they can also function as diametric opposites. Hirschman’s exit-voice dichotomy was very important for my thinking about politics. But what differentiated me from Hirschman – and this was also difference in experience – was that I was not ready to take loyalty for granted. Interest in history is what very much defined my understanding of politics. I know that today for many political scientists their mathematics is more important than their knowledge of history but here I find myself on the other side of the river. History has something that even the best models lack, namely details. I still remember reading the memoirs of one of the survivors of the Warsaw ghetto who wrote that all his time in the ghetto he was constantly reading, but only poems and short stories because he feared that if he would start a novel most probably he wouldn’t be able to finish it. Rightly or wrongly, I do believe that such details are extremely helpful for making sense of politics. Where do you see the most exciting research/debates in Political Science and where are they leading the field? The defining feature of the age of democratic triumphalism was the attempt to present democracy as the single cure for all societal problems and to justify democracy in terms of its capacity to satisfy the material needs of the modern consumer, without comparing its advantages and disadvantages with the ones of its competitors. Democracy was presented as the only right answer to a number of unrelated questions. What is the best way to bring economic growth – the answer is to become a democracy. What is the best way to protect one’s country? The answer is to become a democracy and to be surrounded by democracies (“freedom anywhere will make the world safer everywhere”). What is the best way to fight corruption? The answer is to be a democracy. What is the best way to respond to demographic or migration challenges? The answer is to be more democratic and inclusive. Rhetoric has won a victory over reality. But it is one thing to argue that problems like corruption or integration of minorities can be better solved in a democratic environment, and it is a totally different thing to insist that the very introduction of free and fair elections and the adoption of a liberal constitution can solve all these problems. It took less than a decade for the justification of democracy’s superiority in terms of economic growth, security or good governance to start to backfire. The combination of the global economic crisis and the rise of authoritarian capitalism has challenged long-held assumptions. The claim that democracy is best at delivering economic growth has been shaken by the success of China. In the last 30 years non-democratic China is the world’s fastest growing economy. But it is not only China. The research community is well-aware of the fact that some of the best and some of the worst performing emerging economies are autocracies. So, while the most developed democracies tend to be rich and prosperous, democracy is not synonymous with prosperity or economic growth. The democratic experience in Africa has demonstrated that the spread of elections is also not necessarily benign when it comes to the reduction of violence. The Oxford economist Paul Collier in his fascinating book “Wars, Guns and Votes” has demonstrated that while in middle-income countries elections systematically reduce the risk of political violence, in low- income countries elections make societies more dangerous. In the same fashion of “think again” enlightened revisionism, Israeli military historian Azar Gat went even further in challenging the current orthodoxy about the military superiority of the liberal democratic camp. In his analysis democracies’ victory in the last two world wars should be explained not by the intrinsic superiority of the democratic political system, but by the fact that the United States happened to be in the democratic camp. It is America’s superiority and not democracy’s superiority that explains the outcome of the power struggles of the 20th century. While Azar Gat was challenging the notion that democracies are invincible, Edward Mansfield and Jack Snyder challenged the strategy that puts democracy promotion at the center of the West’s security policy. Collecting historical evidence from the last 200 years, Mansfield and Snyder have challenged the democratic peace theory. While the authors agree that democracies tend not to fight each other, in their analysis societies that are undergoing a period of transition to democracy become more war-prone, not less, and they do fight democratic states. Robert Kagan’s hypothesis that “nations’ form of government,” not its “civilization” or a “geographical location” may be the best predictor of its geopolitical alignment also got under fire. It is enough to open today’s newspapers in order to notice that ,when it comes to foreign policy, democratic Turkey, democratic India or democratic Brazil are not inclined, as a matter of principal, to side with their fellow democracies from the United States or the European Union. Anti-colonial sentiments and old-fashioned state interests and ambitions, not a nation’s form of government, turn out to be a better predictor of a country’s geopolitical alignment. So, what happened to democracy in the last decade is what marketing specialists will easily recognize as the crisis of “overselling”. The latest two waves of democratization created expectations and institutionalized a discourse on democracy that is at the very heart of the current crisis of the really existing democratic regimes, and Political Science has contributed to this state of affairs. It is probably fair to observe that the blurring of the border between democracy and authoritarianism in the context of growing mistrust of both political and business elites and deepening crisis of governability of modern societies is the defining feature of our time. 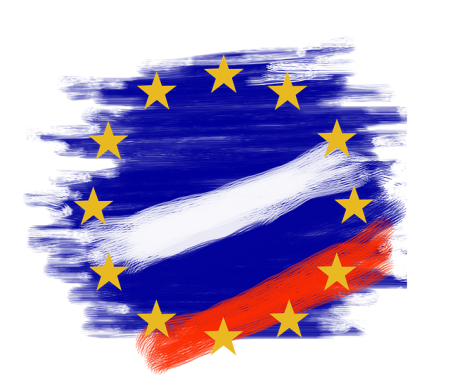 In an article you co-authored with Mark Leonard in Foreign Affairs you have argued that the EU should learn to live and cooperate with the Eurasian Union, cooperation which will serve as the foundation for a new relationship with Russia. But what would be the price for this? Would it mean that the EU will, de-facto, recognize a Russian sphere of influence in the former Soviet space? What we argued with Mark is that the EU should recognize the fact that its model does not need to have universal attraction and that other powers will try to come with their own integration projects. Should we like these projects, should we like the Eurasian Union? My answer is “no”. I am personally skeptical about the Eurasian Union, but this does not mean that I think we should focus on asking countries not to join it. If we want to ask Russia to respect the right of countries like Ukraine, Georgia or Moldova to be part of the EU integration project, we should be ready to recognize the right of others to join Russia’s project. This is not sphere of influence politics – it is freedom of choice politics. If we have told Ukraine “do not come to us because this will damage our relations with Russia“, this would have been a sphere of influence politics. The war in Ukraine, the turmoil in the Middle East and the immigration crisis on Europe’s borders have challenged EU’s postmodernist foreign policy. What impact, do you think, these events will have on EU’s approach to the world and on its foreign policy? The crisis in Ukraine puts into question two of the major assumptions behind European foreign policy thinking, namely that economic interdependence is a source of security and that, when it comes to Europe, hard power has lost its purchase power. The migration crisis forced many Europeans to re-perceive the advantages and disadvantages of globalization and the outcome in some of European societies was a kind of demographic panic. The conflict between Russia and the West has an important ideological component, the clash between Western liberalism and Russian conservatism. How much do you think this ideological conflict will shape relations between the two sides in the future? In the current conflict there is an ideological conflict but we are not back to the Cold War. Russia lacks universal ideology. The quarrel between Russia and the West is not about who lives in a better world, but who lives in the real world. Superficially, Putin’s positioning resembles Cold War, but in reality Russia’s policies are part of a worldwide, twenty-first century revolt against globalization. Kremlin’s notion of a “Russian world,” whatever it means, is not so much an attempt to expand Russia’s borders but an attempt to change the nature of these borders. Russia’s claim for exceptionalism has also changed. Every nation has its exceptionalism myth. We all are exceptional: in our imagination we all are a chosen nation and our historical experience is unique. But the end of the WWII gave births to four “exceptionalisms” that were nourished not only in the national fantasies but were recognized by the others. The US and the Soviet Union were exceptional because they were exceptionally powered and they were ideological states competing to re-make the world. Germany was exceptionally destructive and Israel was the exceptional victim. The end of the Cold War challenged all those four exceptionalisms. The Cold War ended with the idea of normalcy being the new utopia. In the age of the Western normality the US has positioned itself as universal and exceptional at the same time, what Madeleine Albright called “indispensable nation”. Germany was recognized to be normal again and what is more, it became one of the symbols of normality. Israel was hardly fighting any attempt to be deprived of its exceptional status being convinced that for the Jewish state normality (to be treated like everybody else) equals destruction, while Russia was antagonizing between its dream to be normal and its fear to be reduced to normality. Nikita Mikhalkov’s 2007 film “12” is probably the most powerful demonstration of the complexities of Russia’s post-communist exceptionalism/normalism. “12” is a classical piece of ideology. It is also not a bad movie, if a bit long. It targets Western audiences and is meant to argue with the West – with Western liberal values but also with the West’s interpretation of Putin’s Russia. The initial situation of 12 is similar to Sidney Lumet’s film 12 Angry Men, produced fifty years ago, in which a young Puerto-Rican boy is on trial for murdering his father. His guilt seems obvious, the witnesses are reliable enough, and everybody on the jury is inclined to reach a rapid verdict – until a sole juror courageously suggests that they discuss the case further and at least consider the possibility of innocence. This American film is a classic of American liberalism. It is a symphony in praise of the power of a single individual to fight for truth, a cinematic tribute to reasonable doubt, the culture of rational argument, the respect for facts and the triumph of justice. Produced in the age of McCarthy, it remains a powerful idealization and defense of America’s liberal values. In Mikhalkov’s version, a Chechen youth stands accused of stabbing to death his adoptive father, a Russian special forces officer, who rescued the boy after his parents were killed in the fighting, and who brought him back to live with him in his Moscow apartment. The story opens when the twelve jurors, all male, retire to an improvised jury room set up in a school gymnasium. As in Lumet’s movie, the case seems open-and-shut, but a lone juror raises doubts. The jurors begin to argue, to talk, to reveal more about themselves and gradually, as darkness falls and snow settles on the streets outside, to re-examine and even physically rehearse the evidence. Not abstract argument but concrete experience slowly changes the jurors’ views. Not truth, but compassion helps them find justice. But the finale of the Russian movie is very different from that of the American original. What matters in Mikhalkov’s interpretation is not the triumph of justice but the fate of the boy; and it becomes clear that freeing the boy from prison means the real murderers will kill him. So the character who is Mikhalkov’s alter ego – an ex-KGB officer who wants to look and speak like President Putin – frames the choice before the jury. They should either keep the innocent boy in prison in order to save his life, or they, the jurors, should be ready to commit themselves to saving the boy if, declared innocent, he gets out. The only person willing to dedicate himself to taking care of the boy, unsurprisingly, is the ex-KGB officer. The Chechen boy in Mikhalkov’s interpretation is a metaphor for post-communist Russia – an abandoned post-imperial orphan doomed to be destroyed in the dog-eat-dog globalized world unless a heroic protector arrives in time. Thus, building a “fortress state,” “a castle identity” – a hard-shell state which can be integrated into the global economy only if its domestic politics are sealed off from external influences – has been the principal goal of Putin’s state-building project ever since he acceded to power. You can call this strategy,but unlike Soviet communism this is not universal ideology that can inspire humanity. You have argued that the Balkans are Europe’s weak spot which Russia might use to generate instability. In what ways and through what means do you see Russia doing so? I claim that Russia’s major objective today is to remain relevant in world politics and, in particular, in European politics. So, in this struggle for relevance your capacity to create problems is not less important than your capacity to solve problems and the Balkans provide Russia with the splendid opportunity to demonstrate her troublemaking capacities. Modern Russian history has been marked by Russia’s complex and often troubled relationship with the West. How do you think this relationship will change in a new century in which Asia and parts of the non-Western world are rising fast, while the West is increasingly seen as weaker than before? In my view, the social and political instability within the Great Powers and not the rivalries between the Great Powers will shape the global agenda in the next decade. If it was true that nation states,as a rule, mobilize their internal resources in order to get global influence, the picture that unfolds in front of our eyes today is that Great Powers try to mobilize global resources in order to secure social and political stability at home. So, that is at the heart of the new international order is not the much discussed shifts of power from North to South and from the US to the Rest but the recognition that “power no longer buys as much as in the past. ” In Moises Naim’s words “in the twenty-first century, power is easier to get, harder to use- and easier to lose”. It is fair to observe that both America’s belief in hard power and Europe’s belief in soft power were exaggerated. Europe’s bet on norms and institutions did not pay back in the way Brussels had expected. Americans, on their side, experienced the limits of the hard power advantage. According to a remarkable Harvard study, in the asymmetric wars that broke out between 1800 and 1849, the weaker side (in terms of soldiers and weapons) achieved its strategic goals in 12 percent of cases. But in the wars that erupted between 1950 and 1998, the weaker side prevailed more often-in 55 percent of cases. For the weaker side, it is not needed any more to defeat or destroy, it is enough to disrupt the work of its enemy’s machine. So, in the new global world marked by growing interdependence, managing interdependence primarily means securing social and political stability at home. The mystery of power in the interdependent world is that the sources of your vulnerability are also the sources of your influence. You have argued that after the Cold War the social contract between European elites and the citizenry has collapsed as elites have ceased to fear the prospect of social revolution at home. What would take to rebuild this social contract and at what price… should we expect an authoritarian backlash? A well-known French engraving of 1848, the year French citizens received the universal right to vote, illustrates best the dilemmas of European democracies at their birth. The engraving pictures a worker with a rifle in one hand and a ballot in the other. The message is clear: bullets for the nation’s enemies and ballots for the class enemies. Elections were meant to be the instrument for inclusion and nation-building. They integrated workers into the nation by sharing power with them. But at a time when social cohesion ceases to be the goal of modern governance, elections start to lose their meaning as instruments of inclusion and begin to be seen as instruments of exclusion. In the age of globalization elites are no longer in the business of building integrated societies, they prefer instead to surf on the waves of social disintegration. Russia is a powerful contemporary illustration: elites there don’t exploit people, they exploit the natural resources owned by them. They less repress people than pacify them, providing them enough not to make trouble. American political theorist Stephen Holmes makes an important point when he claims that in the years of the Cold War, in order to keep the border with communism closed, Western democracies kept the borders between social classes open. In the days of national democracies the citizen-voter was powerful because he was at the same time a citizen-soldier, citizen-worker and citizen-consumer. The property of the rich depended on the readiness of the workers to defend the capitalist order. The citizen-voter was important because the defense of the country depended on his courage to stand against his enemies. He was important because his work was making the country rich. And he mattered because his consumption was driving the economy. To understand why citizens today throughout the West cannot easily control politicians by democratic means, we need to look at the way in which various extra-electoral forms of dependence of politicians on citizens have been eroded. When drones and professional armies replace the citizen-soldier, one of the main motives of the elite’s interest in public welfare is substantially weakened. The flooding of the labor market by low cost immigrants and the outsourcing of production have also reduced the elites’ willingness to cooperate. The fact that over the course of the recent economic crisis it became evident that the performance of the American stock market no longer depends on the consumer power of the Americans is one more argument why citizens are losing their leverage over the ruling groups. It is the decline of the leverage of the citizen-soldier, citizen-consumer and the citizen-worker that explains voters’ loss of power. And it is from the voters’ loss of power that the secret of the growing mistrust towards democratic institutions derives. “We cannot love what we cannot leave,” once wrote East German poet and dissident Wolf Birman. “We cannot trust those who any minute can leave us,” could be a line of the same poem. Citizens are losing trust in democratic institutions, not because these institutions are less efficient or more corrupt, but because we have lost our power to influence them. The question of trust in democracy is a question of power. In order to know how strong a ballot is in a voter’s hand we should know what the voter has in his other hand. And this begs the critical question that modern democracies face: Is it realistic to believe that a voter who has a ballot in one hand and a smartphone in the other can revive our democracy? Is it realistic to believe that in the context of waning national loyalties and “liberated elites” transparency can save democracy? My answer is “no”. I do not believe that transparency is enough to empower citizens and I do not believe that it could restore trust in institutions. What is the most important advice you want to give to young scholars of Political Science and, especially, of International Relations? All my life I was giving advice, but never to scholars, so I am not sure that I am the right type of advisor. For me, academic research was always a summer house where you find peace when exhausted and unhappy, but it was the actual policymaking that really interested me and I always have very little passion for academic politics where the stakes are lower and that is why the intensity is very high. But I have noticed two trends in Political Science and International Relations that I find discouraging- one is obsession with methodology. Some academics are so obsessed with their methodology refinement that they lose an interest in the subject they research. And secondly, there is a tendency among the young academics to go with a language that makes their work totally unreadable for the general public. When I look back to the scholars I admire, I am always impressed to what extent their personal political experience is reflected in their work. It is enough just to look, to what extent the time when Arendt, or Morgentau left Germany influenced the research questions they came with in order to know that when it comes to the real Political Science personal experience matters. What I do believe we all should fear, as researchers, is to find ourselves at what Brodsky calls “the banal side of virtue”.